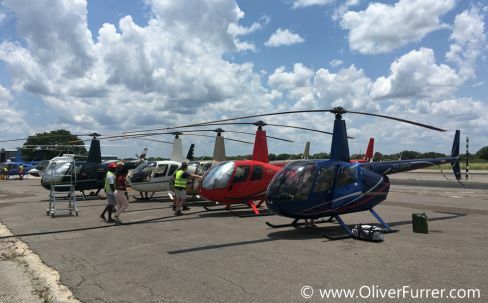 news 31.01.19: To get more helicopter flight time, Oliver decided to do the South African PPL licence and join a round trip with 360Aviation. Thereby they flow with 7 helicopter in formation from Pretoria, South Africa to Botswana via Namibia and back to South Africa. It was a once in you lifetime experience to join this flight trip, meet nice people and see the wild life.